Aviation Updates Philippines - Delta Airlines, a major American airline based at Hartsfield-Jackson Atlanta International Airport in Atlanta, Georgia, transferred its airline operations at the Ninoy Aquino International Airport Terminal 3 from the ageing terminal of the Ninoy Aquino International Airport Terminal 1 on August 1, 2014. "Passengers of Delta Airlines flights DL 629 and DL473 with an estimated arrival time of 21:05 and 21:45, respectively, will be deplaning from Terminal 3. We are excited to welcome these passengers as they take their first step on this new Terminal," Manila International Airport Authority General Manager, Jose Angel Honrado said. Delta Airlines is the first among the four international carriers to transfer to NAIA Terminal 3 to decongest the ageing NAIA Terminal 1. It will be followed by KLM Royal Dutch Airlines on August 4, Emirates on August 15, Singapore Airlines on September 1 and Cathay Pacific in September 2014. "We thank these airlines for heeding our call to use Terminal 3 for their operations. Their cooperation plays a vital role for us to achieve our desire to decongest Terminal 1 by some three million passengers annually," Honrado said. However, on its first day at the Ninoy Aquino International Airport Terminal 3, the transfer of terminals left confusion to the passengers despite the massive information campaign of both NAIA and Delta Airlines for their respective passengers. Passengers who stayed at the NAIA Terminal 1 were asked to take a taxicab just to transfer from Terminal 1 to Terminal 3. According to an official of Delta Airlines, they reminded all of their passengers for months that they will be staying in Terminal 3 starting August 1. 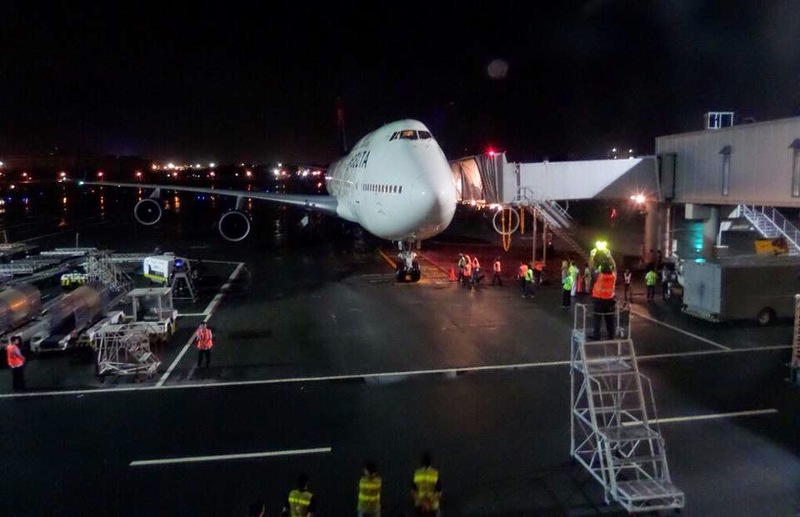 Meanwhile, Honrado urged relatives, friends and well-wishers of passengers arriving and departing on these airlines to take note of the transfer dates to avoid confusion. Dante Basanta, NAIA Terminal 1 manager, said the effect of the transfer of Delta Airlines will be immediately felt in Terminal 1 in the next few days. "The transfer of Delta to T3 will surely ease the congestion at Terminal 1 since two arrivals and two departures will be diverted to T3. That translates to around 1,500 passengers daily," Basanta told the Philippine Daily Inquirer in a text message. The ease in passenger flow and vehicular traffic at Terminal 1 will be felt considering that Delta's flight schedules fall within the peak hours of the terminal's operations.